When you switch on the hot water and there isn’t any, what happens then? It’s possible you have one serious hot water heater issue and you need to get it fixed so you can have your morning hot shower. You simply might have just run out of hot water. When guests come over stay for extended visits, this can put pressure on the heater in the mornings. The heater is only designed to handle for only a few people. It can get rough for not only the heater but for everyone else. If the hot water heater is more that 10 – 15 years old, the loss of water may be in title to a replacement. The pilot light on the hot water heater is gone out but you didn’t even know what it was till now. Take off the cover and check on the pilot light to see if it’s on or not. If not try reigniting the pilot; newer models switch to electronic ignition. If still no light has come on recommend getting a plumber to look. 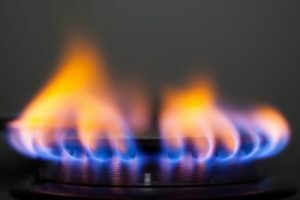 If the pilot light or electronic ignition system is working fine, then it could be something to do with the burners. This can be multiple things including a gas flow issue, the thermostat is playing up, or some other mechanic not working. What ever it is you shouldn’t touch or play around with the burners. It’s always worth it to call a plumber who does this kind of work on a daily basis. The circuit breaker has tripped is also another reason you don’t have water. The circuit might overload and trip the breaker causing no water. Checking the breaker and resetting it might work. If the problems still occur, have the heater looked at. It’s also possible the electric panel itself is faulty. Other causes for you not having hot water and possibly things you can try. Accidental grounding; look for foreign objects shorting across wiring connections. Tripped reset button, tripping repeatedly could be signs of a failed reset button. First what you can do is try resetting the water heater. If it doesn’t do much you will likely need to get someone to fix a component. Water leaks can stop water from coming through, it’ll be obvious if a simple water leak was lurking and happened to be the problem. Leaking connections can sometimes help be tightened and be replaced if tightening doesn’t work. If you need hot water in your home and fixed by today and you live in South East Queensland give Jetset Plumbing a call.